In a significant show of support for CMHA’s 100th anniversary, the Thomas Alan Budd Foundation has come on board as title sponsor for the ride. The Foundation is also sponsoring a group called Budd’s 100 – anyone can sign up, agree to raise a minimum of $100 and have their $40 registration fee waived. The Budd Foundation will match their $100 in fundraising. 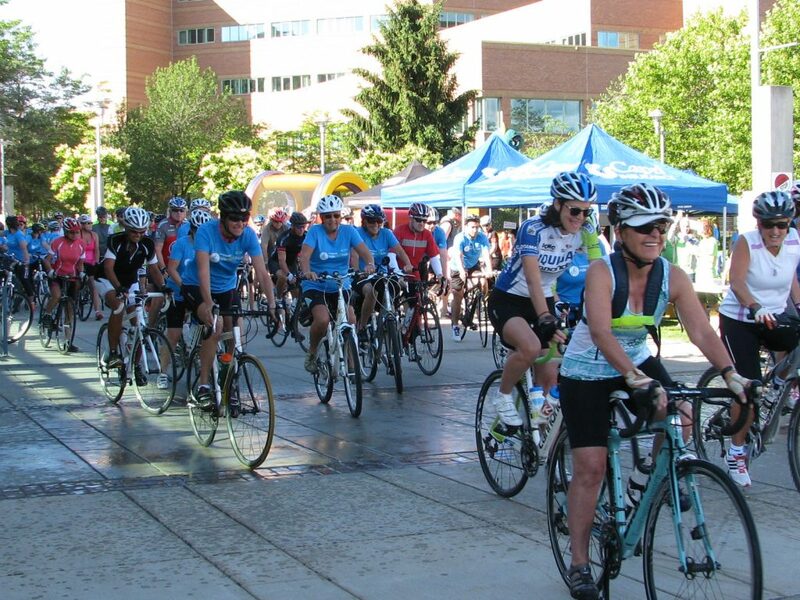 Riders of all ages and abilities can register the 2018 start and finish line will be located at the Rotary Centre for the Arts with a 6.5KM Kids and Family route, a 20 KM route or a 60 KM Advanced route available. The event will raise money for essential programs services in our community, workplaces and schools – programs that change lives. Programs that save lives.